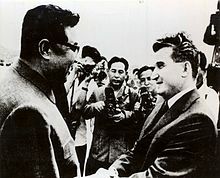 ^ a b "Soviet Officer Reveals Secrets of Mangyongdae". Daily NK. 2 January 2014. Archived from the original on 11 February 2014. Retrieved 15 April 2014. ^ Smith, Lydia (8 July 2014). "Kim Il-sung Death Anniversary: How the North Korea Founder Created a Cult of Personality". International Business Times UK. Archived from the original on 6 October 2014. Retrieved 1 October 2014. ^ Yamamuro, Shin'ichi (2006). Manchuria Under Japanese Dominion. ISBN 9780812239126. Archived from the original on 18 May 2016. Retrieved 8 February 2016. ^ a b Mark O'Neill. "Kim Il-sung's secret history | South China Morning Post". Scmp.com. Archived from the original on 27 February 2014. Retrieved 15 April 2014. ^ a b Armstrong, Charles (15 April 2013). The North Korean Revolution, 1945–1950. Cornell University Press. ^ Behnke, Alison (1 August 2012). Kim Jong Il's North Korea. ISBN 9781467703550. ^ Mossman, Billy (29 June 2005). United States Army in the Korean War: Ebb and Flow November 1950-July 1951. University Press of the Pacific. p. 51. 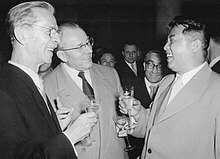 ^ Radio Free Europe/Radio Liberty Research 17 December 1979 quoting Hoxha's Reflections on China Volume II: "In Pyongyang, I believe that even Tito will be astonished at the proportions of the cult of his host, which has reached a level unheard of anywhere else, either in past or present times, let alone in a country which calls itself socialist." "Albanian Leader's 'Reflections on China,' Volume II". CEU.hu. Archived from the original on 8 September 2009. Retrieved 30 October 2008. ^ Haberman, Clyde; Times, Special to The New York (17 November 1986). 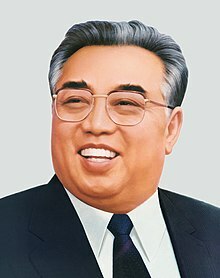 "Kim Il Sung, at 74, Is Reported Dead". The New York Times. Archived from the original on 19 March 2017. Retrieved 19 March 2017. ^ Henry, Terrence (1 May 2005). "After Kim Jong Il". The Atlantic. Retrieved 1 October 2014. ^ "The Chosun Ilbo (English Edition): Daily News from Korea - N.Korean Dynasty's Authority Challenged". English.chosun.com. 13 February 2012. Archived from the original on 29 September 2012. Retrieved 9 November 2012. 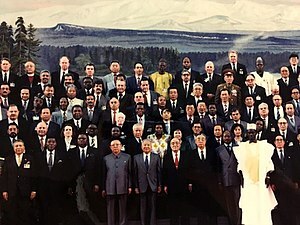 ^ "North Korean museum shows off leaders' gifts". The Age. Reuters. 21 December 2006. ^ "Immortal classical works written by President Kim Il Sung". Naenara. May 2008. Retrieved 16 January 2015. ^ ""Complete Collection of Kim Il Sung's Works" Off Press". KCNA. 18 January 2012. Archived from the original on 12 October 2014. Retrieved 16 January 2015. ^ Suk-Yong Kim (2018). 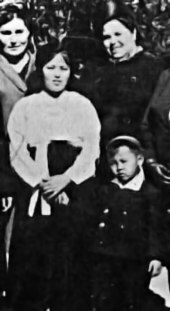 "Dead Father's Living Body: Kim Il-sung's Seed Theory and North Korean Arts". In Kaminskij, Konstantin; Koschorke, Albrecht (eds.). Tyrants Writing Poetry. Budapest: Central European University Press. p. 159. ISBN 978-963-386-202-5. This page is based on the Wikipedia article Kim Il-sung; it is used under the Creative Commons Attribution-ShareAlike 3.0 Unported License (CC-BY-SA). You may redistribute it, verbatim or modified, providing that you comply with the terms of the CC-BY-SA.